Once damage begins in your crawl space it generally becomes worse at a quick rate. A crawl space is a mini ecosystem that requires a specific balance of air flow. 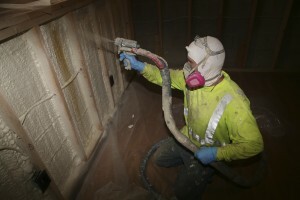 When disrupting elements, such as insects and rodents, get in they cause holes in the vapor barrier, make homes out of insulation, and moisture gets in. From there it is a short time before mold and mildew take hold. When damage sets in we offer crawl space repair in Salem, OR by the professionals at The Killers Crawl Space Restoration. Our skilled technicians understand the sensitivity of your crawl space. We handle every aspect of repair from pest control, to animal removal, area cleanup, structural repair, and more. The threats to your crawl space can damage your home’s foundation. Things like rodents, insects, mold and mildew also create a serious health hazard that can come through your home’s ventilation. It is important that these hazards be dealt with using the proper methods. Not having the right equipment and training can end up spreading these threats even further into the home or make a person seriously ill by being handled. That is why this kind of crawl space repair should only be done by professionals. Our experienced technicians have the equipment and know how to properly clean a crawl space without risk of spreading mold spores or tiny animal bacteria and debris. We use the most current products and methods for safely clearing out old insulation, vapor barriers, and damaged materials. Beginning with a thorough inspection of the condition of your crawl space, we openly communication with your throughout the process. We offer a detailed report of what we find and discuss our suggestions for repair with you. We also offer a written estimate and wait for your go-ahead before doing any work. While we are the best in crawl space repair in Salem, OR, our prices remain affordable. After the inspection we begin with a cleanup. Removing any damaged parts of the crawl space, such as insulation, boards where urine or mold have done damage, or a ruined vapor barrier. All evidence of animal urine or feces are thoroughly removed and cleaned. We also treat for pest control, removing any insects such as termites or other damaging pests. After the cleaning is complete, we begin to repair and replace items. Every crawl space should have proper ventilation. Before we consider the project complete, an evaluation of the air flow is done. The crawl space is easy to forget about. However, leaving this areas neglected could lead to serious and costly structural damage down the road. That is why an annual inspection is advised. Contact us for your crawl space repair in Salem, OR. 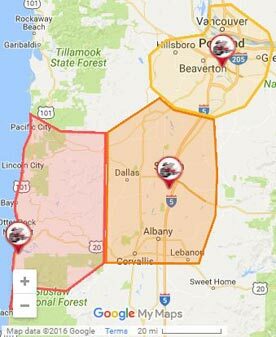 The Killers Crawl Space Restoration is proud to serve the Salem, Oregon area. With wonderful historic sites, unique cultural festival, and flourishing farmers markets, there is much to love about Salem!